Gen Z also doesn’t hold to the traditional stereotypes when it comes to dating. Instead of waiting for the man to make the first move, Gen Z daters aren’t afraid of reaching out first over an app regardless of gender. Fifty-nine percent are indifferent as to who makes the first move, 2% more than millennials, 8% more than Gen X daters, and 7% more than baby boomers. Dating app Bumble made a name for itself by eschewing the stereotypes too, encouraging its female users to make the first move. This approach (and its 40+ million users) might also influence dating behavior across other apps, including Zoosk. Younger daters have embraced dating apps for their personal lives more than older generations, and Gen Z grew up with smartphones – so technology plays more of a role in meeting people, especially as they enter the dating world. 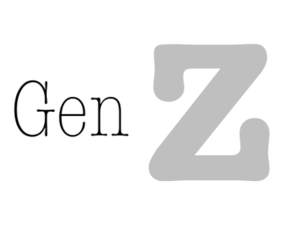 Perhaps this cultural shift allows Gen Z daters to embrace a more equal playing field when it comes to online dating – without adhering to traditions and gender roles their parents feel more comfortable to follow. According to Zoosk, Gen Z daters are also less likely to go for the more expensive dates of drinks or dinner, opting for coffee dates instead. They don’t take a serious or romantic approach to dating, but leave it casual, which means there’s less pressure for the date to be perfect. The flip side of this casual approach is that it isn’t always clear if it’s a date, or if your online match is even looking to date. The bottom line is the culture of dating is changing among younger daters. They are moving further away from tradition and embracing a new, more casual, open-minded and more inclusive approach. Thats because they (Gen Z) dont know any better and havent been burned as many times. Also, the whole Bumble thing is BS...most men agree its counter-productive because most women dont know how to make the first move. And, ironically enough they all start with crappy opening lines that would get men raked over the coals...EX: Hiya, How's your weekend, etc...very very basic stuff. Dating sites have turned to crap and until they all stop patting themselves on the back the only thing dating sites are really good at is ripping people off from their money and offering next to nothing in return.